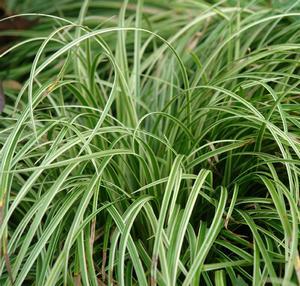 Carex morrowii ‘Silver Sceptre’ | J.C. Bakker & Sons Ltd. 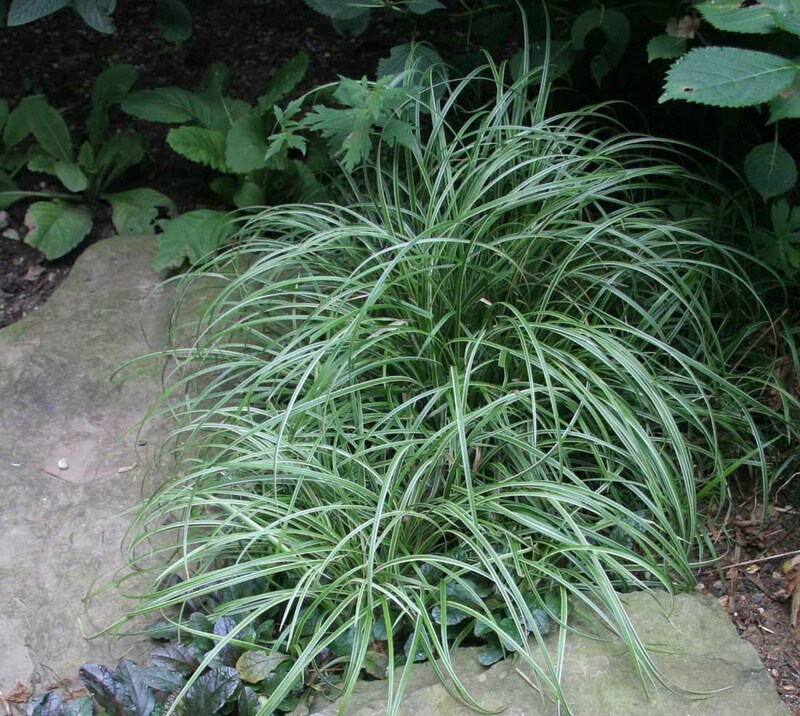 This Japanese variegated sedge has the slightest bit of curl along the length of its foliage. It curves to the ground softly as if it had been set on hair rollers and then brushed out in the perfect soft wave. 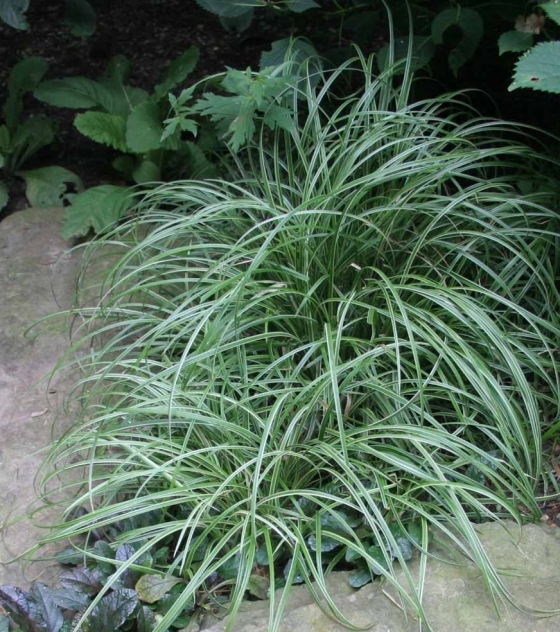 Carex ‘Silver Sceptre’ spreads by rhizomes and can tolerate quite a bit of shade. With dazzling half-inch- wide green leaves and silvery white edges, ‘Silver Sceptre’ brightens a shade garden. This plant was introduced by Dr. Masato Yokoi, an internationally recognized authority on variegated and colored-leaved plants. Until recently this plant was believed to be a selection of Carex morrowii, but now the correct species is undetermined. SKU: 76101011. Category: Grasses. 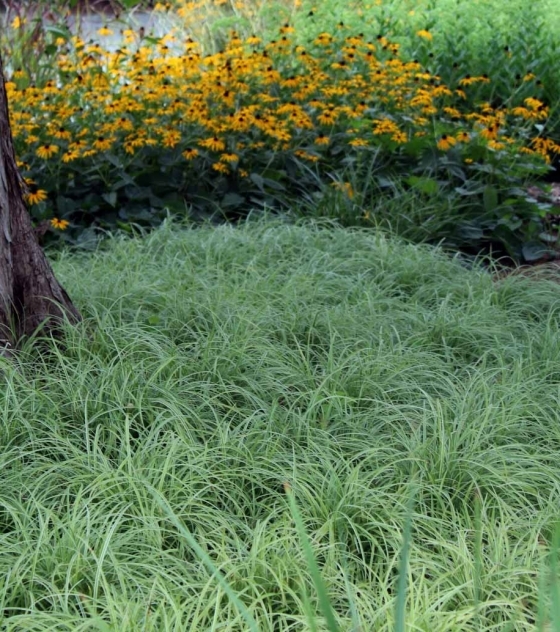 Tags: Carex, Grass, Sedge, silver sceptre.